This interactive shape sorter is ideal for children between 18 months and 4 years old. 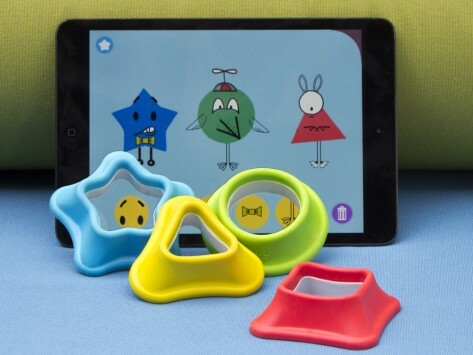 With a soft plastic cover and silicone touch points, the four shapes (circle, square, triangle, star) are durable enough for toddler play and designed for use with iPad screens. This is just the coolest learning toy ! My 21 month and 4 year old granddaughters love this. It such a good learning too. Very good product. Allows the children to be very creative! One part digital, one part tactile—Tiggly is updating classic hands-on learning toys by combining them with handheld iPad games.